So we all know that HERO3+ is quite nearly the mother of all cameras – no news there, just a little reminder that GoPro still holds the top place on the list of premium camera gear despite all the innovative designs and tech solutions that keep popping out every now and again in an attempt to parry the equipment sold by the world-famous corporation. And now they will certainly have to up their efforts if they still want to stay in the game – rumor has it that the company is about to reveal their next generation of personal cameras, HERO4. According to a recent thread on Reddit accompanies by photos that seem pretty legitimate, GoPro is preparing to launch their new product with a handful of improved features, some function upgrades and revamped design. So if you’re interested in HERO4, here’s the info that has leaked so far. 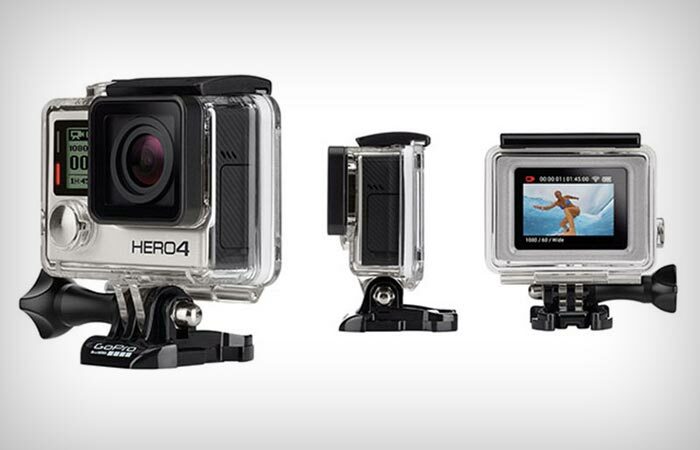 According to the Reddit thread, HERO4 will be available in two different versions, the Black and Silver model. 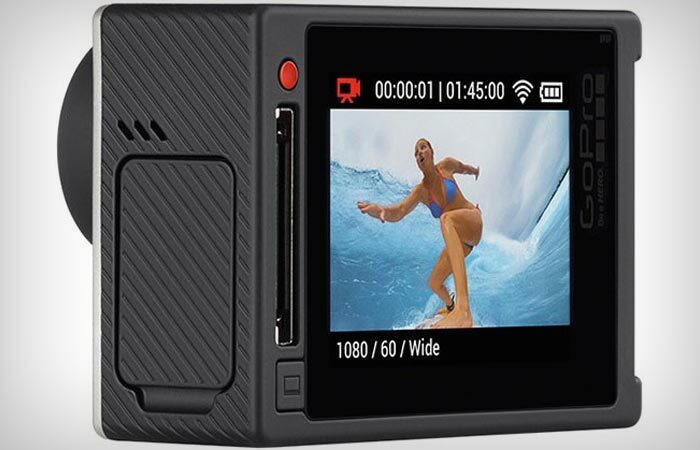 Thanks to its dual A9 ARM Core ® CortexTM-A9 processor 1GHz with FPU accelerator, HERO4 Black powerhouse action camera will reportedly be able of capturing 1440p videos at 80fps, 1080p footage at 120fps and 960p clips at 120fps, as well as 2.7K at 50fps. (Unfortunately, HERO4 seems to lack 240fps capacities but with other advanced camera upgrades, you won’t even notice the difference.) On top of these, there’s another handy option likely to become popular in no time at all, especially with the growing 4K video and display trends worldwide – according to info leaks, HERO4 will feature full-motion 4K video capture capabilities at up to 30fps, which is twice the rate found in the previous camera model (HERO3+ can capture 4K footage at 15 fps) and outputs extremely high-quality footage that can be used for a range of new applications. Also, Black will probably sport better image quality with twice as powerful processor as the one found in HERO3+, topped by an improved audio capture with double the HERO3+ dynamic range. When shooting in photo mode, HERO4 will be able to capture 12 megapixel stills at 30 frames per second through the front ultra-wide angle glass lens, and you will be able to record your images in three different field-of-view settings, i.e. Ultra Wide, Medium and Narrow. Plus, you will also have the option to manually control the settings for both photo and video modes and adjust color, ISO limit, exposure and other options. Reportedly waterproof down to 131 feet (40 meters), HERO4 Black will also pack a bunch of other useful features, such as 13-megapixel photo sensor, built-in Wi-Fi and Bluetooth connectivity, nighttime shooting exposure settings, a “HiLight Tag” feature to mark key video moments, a QuikCapture option to power up and record footage with a one-button press, Multi-Exposure, electronic image stabilization, HDR WDR tone mapping, and an improved MCTF, as well as auto low-light capacities. 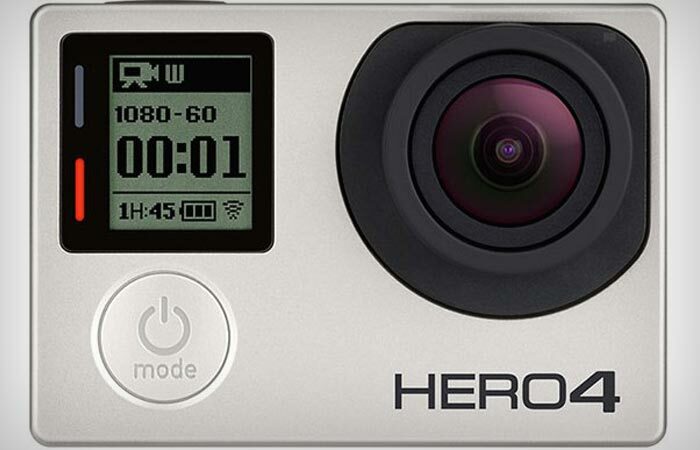 The other HERO4 model, the Silver edition, will not feature 4K video capture capabilities but it will be the first GoPro camera with a built-in touch display on the back, allowing you to control the camera and view image and video content by a simple tap and swipe of the LCD screen. 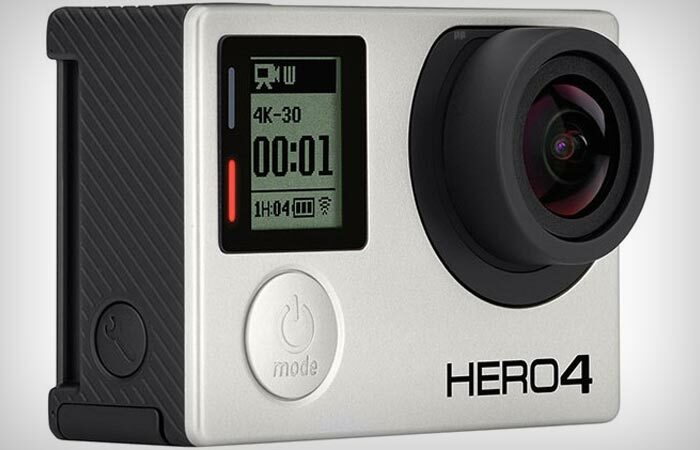 Footage-wise, HERO4 Silver will record 4K videos at 15fps, 2.7K footage at 30fps, 1440p at 48fps, 1080p at 60fps, 960p at 100fps, and 720p clips at 120fps. When it comes to other specs, the Silver will match Black with 12 megapixel still capture capabilities at 30 frames per second, as well as the waterproof design, Bluetooth and Wi-Fi connectivity, HiLight Tag and QuikCapture features. As for the camera size and accessories, both HERO4 models will be approximately the same size as the HERO3+ and earlier editions for full compatibility with all GoPro mounts and other extras. The producer should reportedly offer a removable battery pack for extra juice on the go, a separate grip to keep HERO4 afloat, as well as matte black finish blackout housing for stealthy shooting, a wearable waterproof remote control and a dual battery charger to reduce the GoPro battery recharge time. Of course, this is all still just at buzz-level – but given that the company released all its previous camera models in fall, we may yet see HERO4 hit the market before long. The official announcement date for HERO4 Black and Silver is expected on October 8, with first shipments starting soon thereon so stay tuned if you want to grab your new GoPro gear as soon as it arrives.